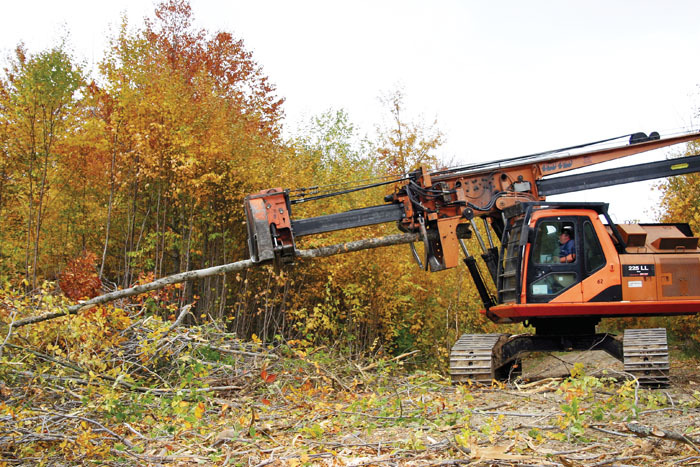 Timber Harvesting’s December issue spotlights Maine’s Richard, Bruce, and Robert Linkletter, who added a new Tigercat 635D six-wheel skidder to their company Linkletter & Sons, Inc., last winter. 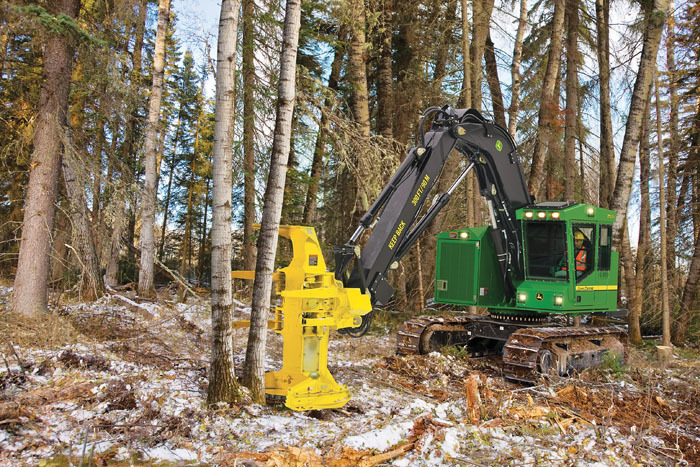 The addition has proven to be a good move, as the specialty machine provides extra skidding capacity to improve overall skidding performance across multiple crews. Also featured is South Carolina’s Mike Castle, who has taken on the difficult challenge of heavily thinning the densely wooded and narrow median between the north and south bound lanes of I-95 around exits 53-51. An article highlights the American Loggers Council, which is seeking to intensify its awareness through better communications; the council has adopted a new logo, changed the tenor of its routine news releases and is redesigning and redefining its web site. 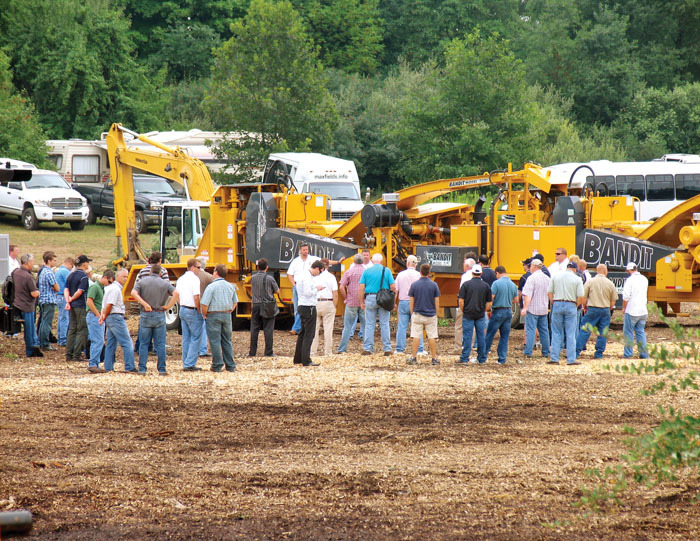 A recap of October’s Mid-Atlantic Logging & Biomass Expo, which experienced a solid turnout and positive vibe, is provided. Last winter, Linkletter brothers Richard, 62, Bruce, 60, and Robert, 54, added a new Tigercat 635D six-wheel skidder to the equipment roster of Linkletter & Sons, Inc. It proved to be perfect timing for 2011, which has been a year of weather extremes in New England and some other regions of the nation. 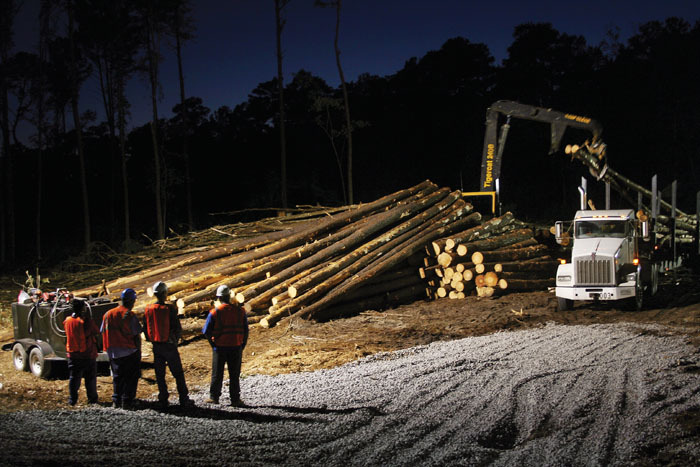 The area around Walterboro, SC, is called the front porch of the state’s low country, and it’s there that Mike Castle, 32, owner of B/K Forest Products, has found himself in an unusual logging job. The task is to heavily thin the densely wooded median between the north and south bound lanes of I-95 around exits 53-51, about a two and a half mile stretch. It’s a narrow corridor with very little margin for error, since the consequences could be a tree falling into traffic. As one can imagine, this kind of job comes with its own unique challenges. At its annual meeting, hosted by outgoing president Matt Jensen and the Great Lakes Timber Professionals Assn. 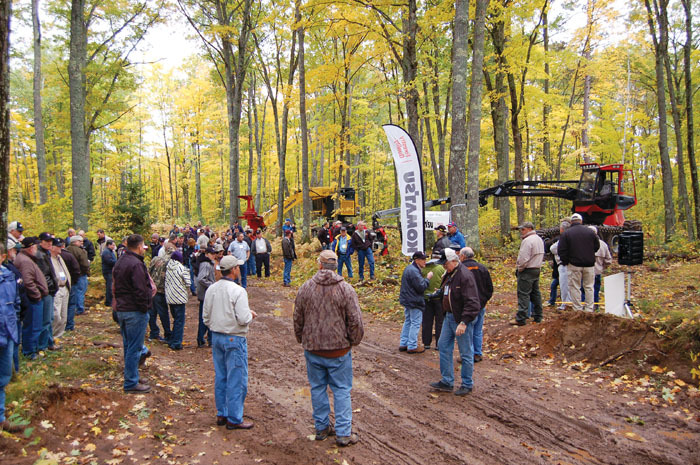 in late September in northern Wisconsin, the American Loggers Council (ALC) officially activated a program designed to strengthen the organization. The group is seeking to intensify its awareness through better communications. The goal is to send a clearer, more forceful message about the organization’s core mission: to provide a unified, dignified national voice for the nation’s professional loggers. Weather was ideal, traffic was heavy and the overall outlook was noticeably bright. The Mid-Atlantic Logging & Biomass Expo, held October 7-8, gave forest industry professionals from all over the eastern U.S. a chance to take a break from their routine headaches and talk shop with their peers, while enjoying a day with their families and maybe getting a little business done as well. 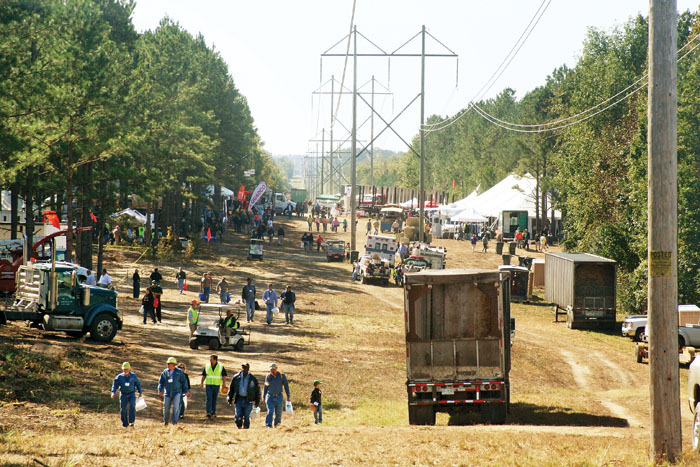 Sponsors placed total attendance at near 3,000 and valued equipment-products on hand at more than $100 million. As a new year approaches it’s fitting to note some U. S. wood energy projects revealed thus far in 2011 and to update the progress of several previously announced works. 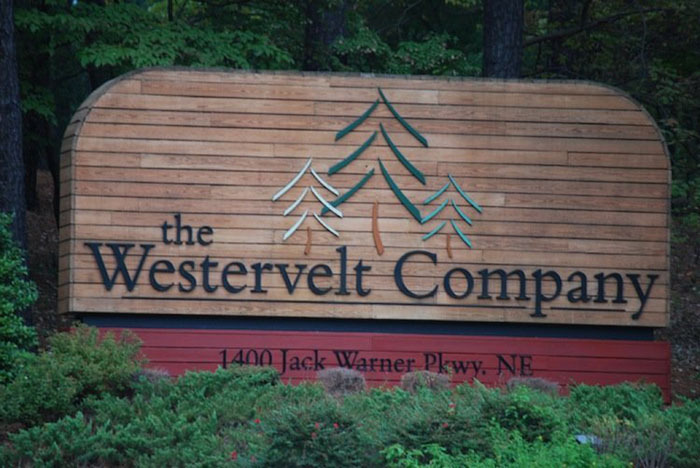 Westervelt Renewable Energy held a groundbreaking in October for a new pellet plant to built near Aliceville, Ala. at a former industrial plant site. The plant will produce 280,000 metric tons of pellets annually, which will be shipped down the Tennessee-Tombigbee Waterway to the Port of Mobile and shipped to Europe. Equipment seminars, model updates and new machines were the headlining acts for a worldwide audience of dealers at the Bandit Industries 2011 dealer meeting held August 23-26 at the company’s headquarters in Remus, Mich. Bandit hosted 155 attendees from 19 countries, making it the largest dealer meeting in the company’s 28-year history. The life of Charles E. Burkhardt was commemorated September 14 at a special event hosted near Starkville, Miss. by the Mississippi State University (MSU) College of Forest Resources (CFR). 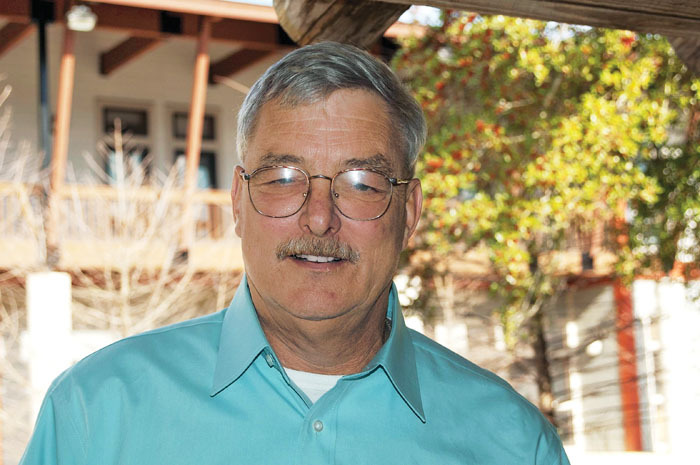 Burkhardt, MSU’s Supervisor of Forest and Facilities Management, died September 9 at his Starkville area residence. He was 58.